Things you need to bring are water proof clothes, food and drink for the day, hot drinks will be provided. 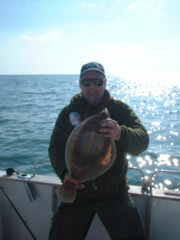 Tackle, when you book your trip Dale will advise which is best on the day or can provide the outfit of your choice. Bait, a good selection of bait is always best. Dale will be happy to advise you what to bring. Some bait can be provided at cost price with prior notice. 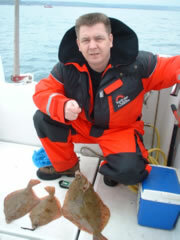 Remember, you could be out having a great day at sea catching fish like these and much more. Just a few caught on the Skerries.